My group of friends recently held a Spanish edition of the Global Supper Club, which gave me an excellent excuse to finally learn how to make a Spanish tortilla. 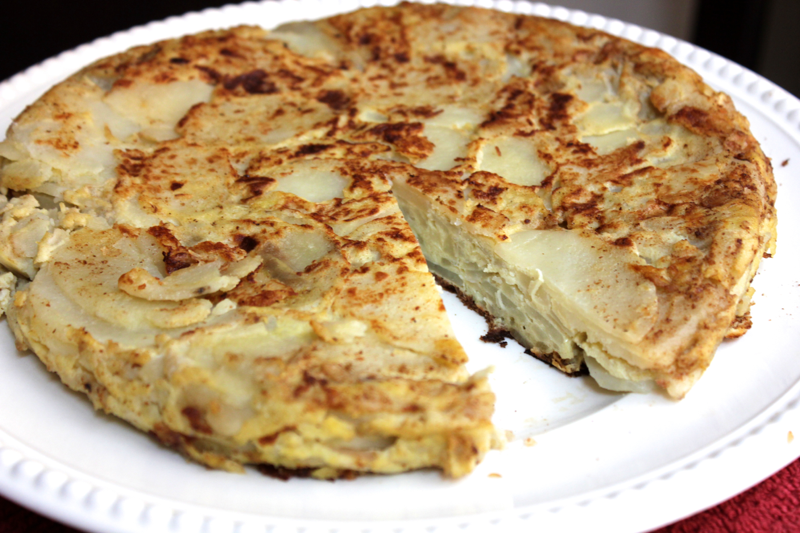 Tortilla Española is essentially a potato frittata, and I absolutely love it. No trip to a tapas restaurant is complete without one (my favorite DC offerings come from Bodega and Estadio). I have investigated making a tortilla in the past, but I was always put off by the vast amount of olive oil that is needed to cook one. Although this recipe does use a lot of oil to cook the potatoes, rest assured that most of it gets drained off, and the end result doesn’t taste oily at all. In fact, it tastes delicious- especially when paired with a zesty, homemade garlic aioli. 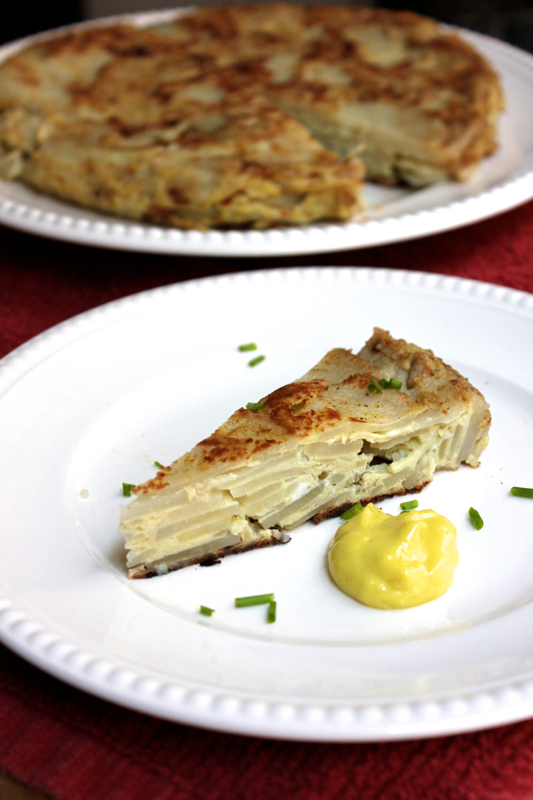 The tortilla can be eaten with any meal of the day, and it is great to make ahead because it reheats wonderfully or can be served at room temperature. Party food at its finest. 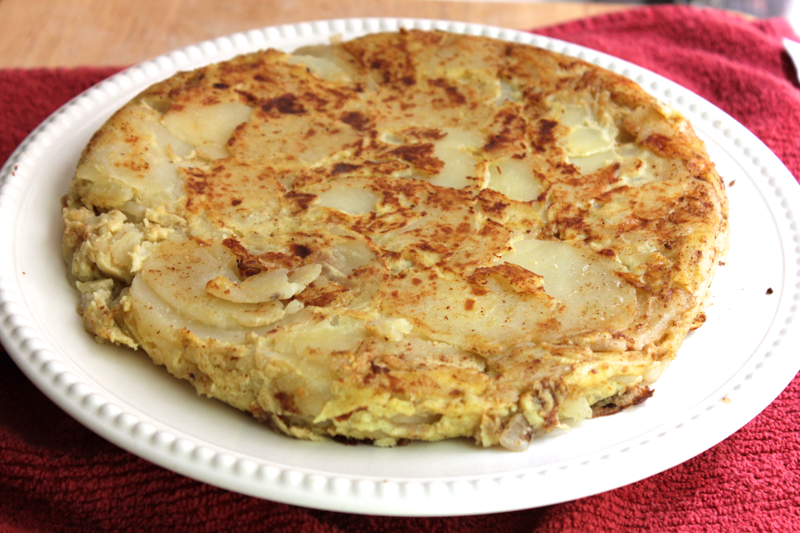 To make a tortilla, get 2 large baking potatoes (about 1.5 pounds), and peel them. 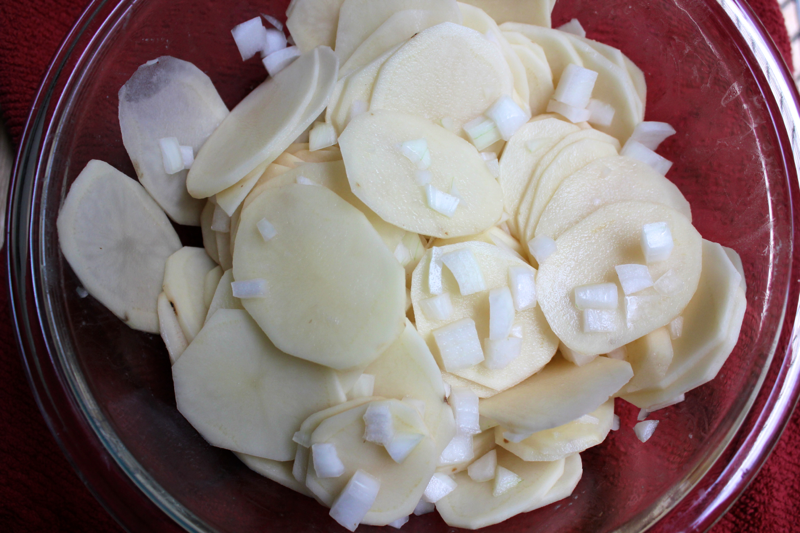 Then, use a mandoline to slice them crosswise into thin, 1/8 inch rounds. Finely dice 1 medium onion as well. In a 10-inch skillet, heat about 1.25 cups of virgin olive oil over medium heat. There’s no need to use more expensive extra virgin olive oil here. 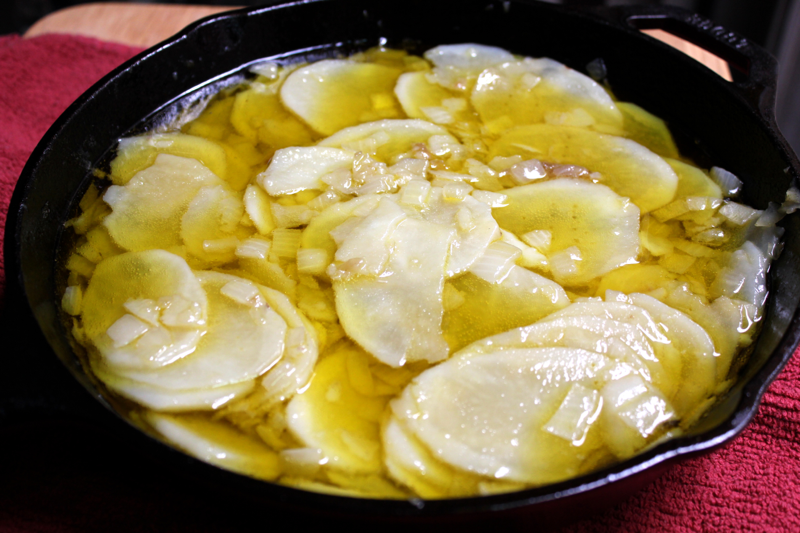 When a piece of onion sizzles in the olive oil, gently add in all of the potatoes and onion. The potatoes should be able to slide around in the oil- if not, add enough oil so they can. Adjust the oil’s temperature so that the potatoes simmer gently. Let the potatoes cook for about 10 minutes, scraping them up from the bottom of the pan and stirring them around frequently. The potatoes are done when they can all easily be pierced with a fork. Set a colander over a bowl, and pour in the potatoes and onions to drain. In a separate bowl, whisk together 4 eggs, and season them well with salt. If you don’t plan to serve the tortilla with a garlic aioli, you can whisk 2 grated garlic cloves into the eggs as well. 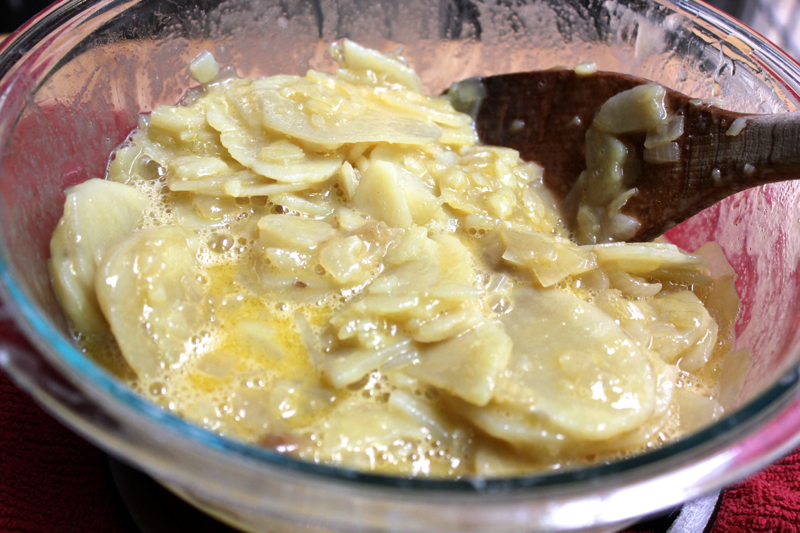 Once the potatoes and onions are drained, season them very well to taste with salt. Then, mix the potatoes and onions into the scrambled eggs, and stir them around to coat them. Now it’s time to prepare your skillet for making the tortilla. Wipe out any potato remnants or leftover particles to keep them from burning. Then, use the drained off oil that the potatoes cooked in to grease the bottom and sides of the pan very well. Heat the skillet over medium-high, and then pour in the potato and egg mixture. Give the pan a few shakes to even out the potatoes, and then turn the heat down to medium. I always thought that you had to individually layer the potatoes into a tortilla because they always seem to be perfectly arranged, but it turns out that they arrange themselves nicely after a casual dumping! 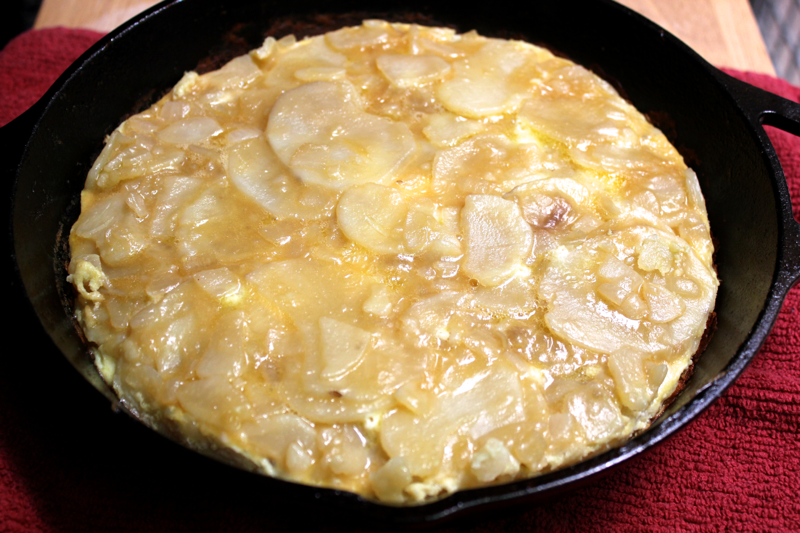 Let the tortilla cook for about 10 minutes until you can shake the pan and the potatoes on top hardly jiggle. Run a spatula around the outside edges of the tortilla to make sure that it is not stuck to the skillet, and then get ready to flip it. Get a plate and lay it face down on top of the skillet. Place one palm down on the plate, holding it to the skillet, and then flip the skillet over in one fell swoop. Be fearless and go for it! The tortilla should gently drop from the skillet onto the plate. Remove the skillet, and wipe out any stuck-on food bits. Brush the skillet with more of the oil, and then slide the tortilla back in. Now, the uncooked part of the tortilla should be on the bottom. Let the tortilla cook for about 5 more minutes, and then transfer it to a clean plate to cool. While the tortilla cools, move on to the aioli. If you don’t feel like making aioli at home, or don’t want to eat a raw egg yolk (goodbye Caesar dressing and hollandaise!) you can mix some grated garlic into mayo, which is what Jacques Pepin’s cookbook recommends. It’s easiest to make aioli in a blender, but I was having sink/dishwasher issues, so I made it by hand instead. In a blender or bowl, combine 1 egg yolk, 1 grated clove of garlic, a dab of dijon mustard, a squeeze of lemon juice, and a dash of salt. 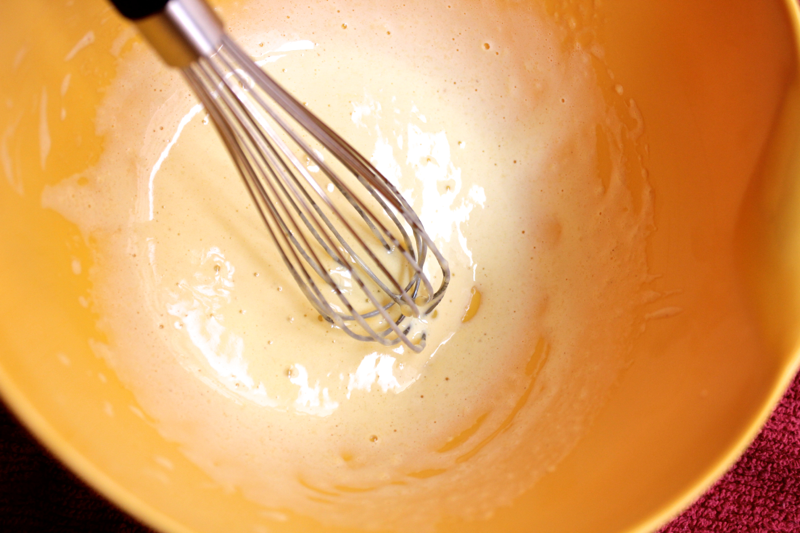 If making the aioli by hand, continue whisking the egg yolk until it gets pale and more voluminous. 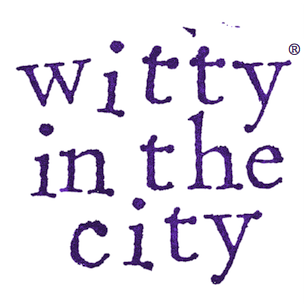 With the blender running or your whisk constantly and rapidly moving, slowly drizzle in about 1/3 cup of a neutral oil. I used olive oil here, but a flavorless oil would have been better. Incorporate the oil until the aioli has taken on a thick, mayo-like consistency. Store the aioli in the refrigerator until you are ready to serve it. Cut the tortilla into wedges or squares, and serve it with a small dollop of aioli and a light sprinkling of chives for color. And you know what goes great with this tortilla? The rest of our supper club dinner! Jamón, manchego, cantaloupe, patatas bravas, gazpacho, lemony stuffed calamari, and flan rounded out the feast. This tortilla recipe was adapted from Serious Eats.